Creating and decorating a paper mache globe is a fun and educational way to teach kids about the world's countries and oceans as they paint them. This project takes a few days and is great for kids ages six and up. You can modify as needed to suit other ages and devote more or less time to your creation. Learning happens when kids are having fun! Cover you work surface well as paper mache can get pretty messy. Keep a bowl of water or a wet cloth nearby to help keep your fingers clean. Blow up and tie the balloon. If you want to set it on top of a bowl while working on it, completely cover the bowl with plastic wrap so the paper mache hopefully does not stick to it. Tear some newspaper into strips that are about 1-inch wide and 4- to 6-inches long. You'll need a lot of newspaper! Choose one of these paper mache paste recipes, mix up a batch and follow these step-by-step directions to paper mache your balloon. You should apply three or four layers; allow each layer to dry completely before applying the next. You might also need to let one side of the balloon to set before applying paper mache to the other side. 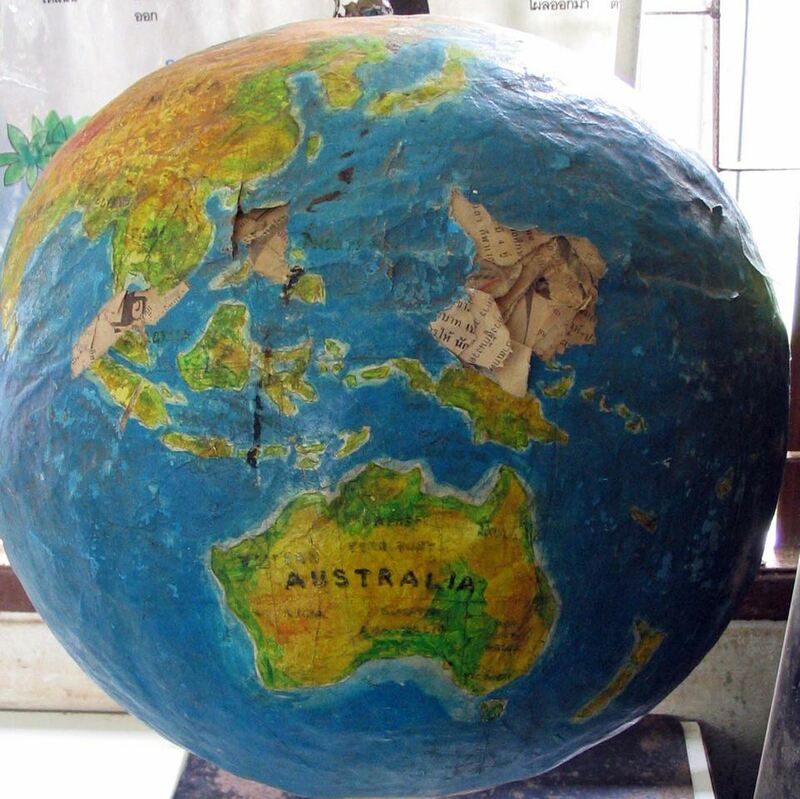 Once the paper mache is dry, paint your balloon to look like a real globe using blue, green and even white paint. Add as much or as little detail as you like. As you paint continents, countries and bodies of water, teach kids some fun facts or share your travel stories.